A good new for the Terramater family! 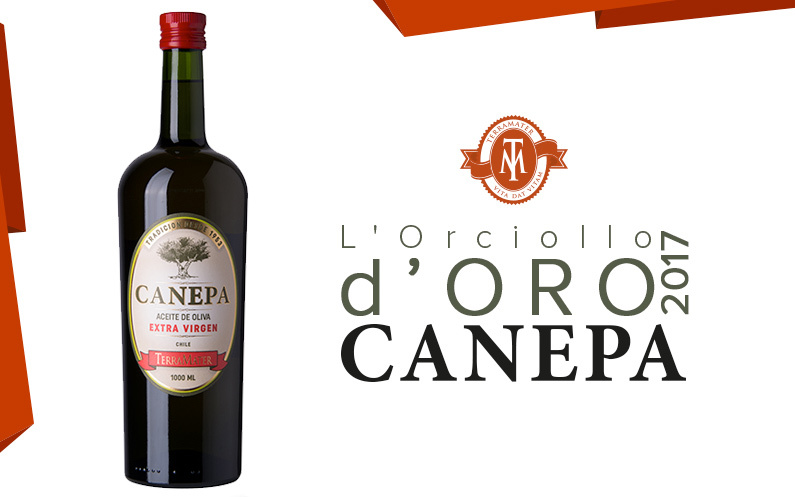 Canepa, our delicious extra virgin olive oil, has been awarded with the first place in the category Fruttato Leggero of the 19th International Contest of Extra Virgin Olive Oil “L’orciollo d’Oro 2017” in Italy. Let’s celebrate this high distinction, which is a recognition for the products of our land. We are filled with good news with Tim Atkin! Know our scores at La Cav 2019! Our wines stood out in Descorchados 2019! Diseñado por Trending. Todos los derechos reservados por Terramater 2016.